First and foremost I am a dad and husband to a family that was my life. I never would have believed the corruption in the system if it wasn't for my firsthand experience. Im here to fight for our rights as Americans; for our kids rights. To unify families and guide them to justice. Ive laid my life story out here feel free to send me yours. I encourage you to learn your rights, learn the laws, be ruthless, relentless and keep excellent records. Write your senators, commissioners, judges, contact the bar. Together we can bring attention and change to this system. If you come here you probably seen my trucks are your into to a DHR case..Its no secret that Alabama is the most corrupt state in the U.S.I get it were corrupt I see it threw out the system now that I was dealt by Blount county Alabama my home town..If you think this couldnt happen to you then your sadly mistaken.These people who are being paid to protect us and help folks are doing the totally opposite and stealing state and FED grant money by every means possible.When I seen first hand what these folks were doing and using the Sheriffs department and City cops to help what they are doing I had to come out about what I see is happening under are noses why we think that are government is doing and making the best choices for are County and are State but dont forget we are the most corrupt State in the U.S.
We also have the most prescription pills written in the U.S Birmingham Al.How is that possible I ask?These people who run these towns and government have created this problem its a FACT. Now I see this corruption across Alabama and neighboring countys and citys. Why on earth would we allow this to happen in whats supposed to be the great state of Alabama..The kids of tomorrow will be the ones who will suffer and the folks of today are suffering already the tyrants we call Government. Check out Argo Alabama for example.These folks are corrupt as they come..These folks think they are untouchable and they are for the most part with tax payers money.They have lawsuits flying against them from tasering a old man excessive force 5 times he tasered him..Are how about the lawsuit against the city for writing tickets out on interstate I-59..If you go threw this town you best be recording your speed because they will Lie..Whens last time a officer showed you how fast you were doing?Here is a link to my findings of Argo Al..Its just a little insight to whats to come on these folks..Public records have been requested and no response as of yet..This is a hard video to watch so heads up. Part 1 Argo Al Policeman tasers old man five times. we best start standing for them are we will loose them for ever.Its easy to see whats going on once your infected by the virus of the tyrants.You will have family and friends within this system gunning for you if you ever get pulled into it.Always record everything with these tyrants are you will be wishing you did and even then its a hell of a fight..Your life savings and your family will be sucked from you why you go down fighting are end up in jail.The young folks are who they are going after now..They will take your kids for money thats it. Sorry to be the bringer of bad news but someone has to do it..Stay safe in good old Alabama.Corrupt threw out.. I wanted to begin this page as a guide for all families that have children. 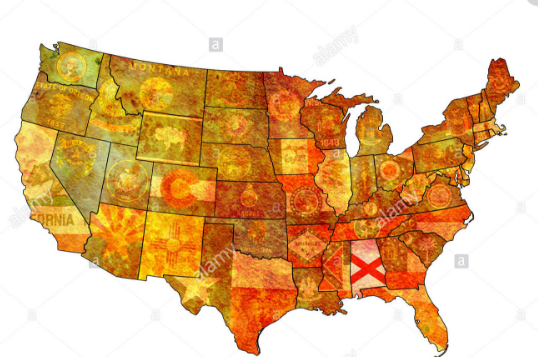 I’m from Alabama so some things may pertain more to the rules and policies of my state but through my research I’ve learned that many states are similar. From what I’ve seen regardless of location DHR/CPS is corrupt from the East coast to the West. I never could’ve fathomed the seriousness of this until my family became involved, DHR/CPS is truly the largest child trafficking organization in America. They will tear families apart without any remorse for illegitimate reasons, they will ignore State and Federal laws, lie and falsely document on case reports and under oath to keep kids in their custody which keep tax payers money lining their pockets. As free Americans we have rights and must defend them together to end the corruption and hold DHR/CPS accountable for their actions; to reunite the families, save our kids, and protect them from future harm at the hands of DHR.